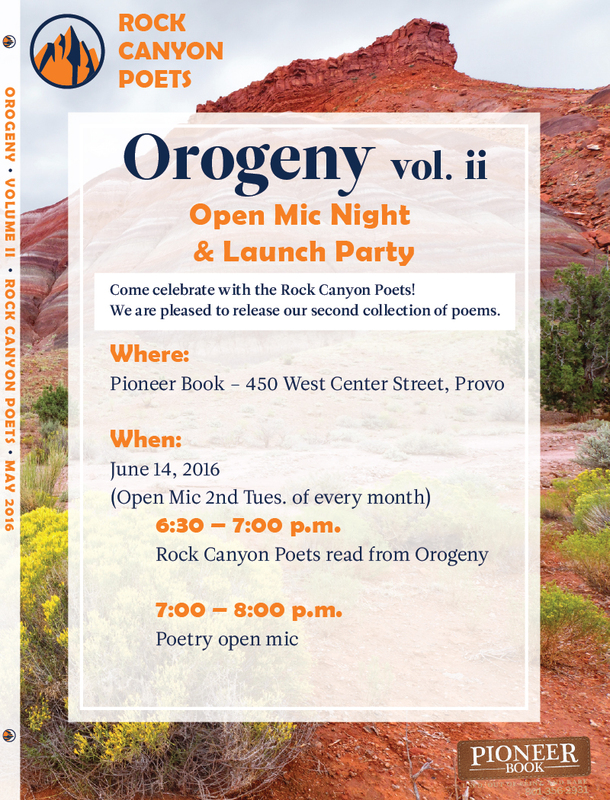 Come celebrate with The Rock Canyon Poets! We are please to release our second collection of poems along with an open mic at Pioneer Book​ on Tuesday, June 14, 2016 at 6:30 pm. Light refreshments will be served.